This is a blog to share some of the characters I have met in my life who may or may not show up in one of my novels or short stories. Trolling the news lately has been found lacking of late. Hard to be inspired by Obamacare and the lackluster performance of our government. Global warming and the polar vortex has some possibilities for story ideas. The Winter Olympics this year is a case in point. Every night we were warned by the news outlets about a possible terrorist threat. It is the grist for a fantastic novel, but so far nothing has happened. I wonder how many Americans avoided attending out of fear. How many athletes spent sleepless nights wondering when and if an attack would come? Clearly the threat of an attack had a profound effect and the terrorists are probably jubilant. I have to admit. I’m a news junkie. I need my daily fix and would undoubtably go through some sort of remission if I were marooned on a deserted island. Since becoming a writer, I’ve frequently used current events to inspire me. I think splicing in something that really happened into a story can give it more realism, and sets the timeline. It also helps if the newsworthy item is a hot topic and therefore relevant and interesting. Terrorism and new scientific developments are hot topics in the Action/Adventure genre. The Internet has opened up a cornucopia for authors as a resourse. I’m writing about Somali Pirates at the moment. I know much more than I ever did after reading news reports and the like. I’m glad we live in a time where we don’t have to travel to far off and to decidedly hazardous locals in order to immerse ourselves into a topic, and be seen as an expert on the subject. At the same time, an author should choose carefully the current event. Unless new blood is injected into the story in the form of a fresh slant, it may come off as merely rehashing old news, that is, after changing the names to protect the innocent. I don’t read many science fiction books. Just a preference. At the same time I like to watch sci-fi movies and TV shows. I love the fact that many things we take for granted, originaly came from the imagination of writers. Space travel of course, submarines, cell phones, computers, Internet, GPS, Voice activated devices, robots. And now we hear of cars that drive themselves and have crash avoidance abilities. Airplanes have been using auto pilot for years. Pilots have forgotten how to manually fly passenger jets. We have a remote controlled robot roaming Mars and a spaceship has traveled outside our universe. Some day we may travel at warp speeds. We have weaponized drones deployed in the mddle east. All of these far fetched ideas were first proposed in science fiction novels and films. CAT scans and MRI machines look similar to the medical bays onboard the Star Trek Enterprise. I live up in the mountains, and the small hospital I go to has a telesite robot connected to a live doctor in LA. It seems so strange to sit in front of a robot and tell him my symptoms and get a remote diagnosis. Before long they might develope tricorders, like on Star Trek. Imagine what the world would be like if we have flying cars, transporters and time machines. I never thought I’d see the day when I could make a live face to face telephone call to my son in Afganistan. It bogels the imagination of us old timers who were around before TV. I've been working on finishing and editing my new novel. I think the working title above has a good ring to it. The synopsis is also a work in progress, but goes like this. Identical twin brothers, eighteen years since being born in war torn Somalia, are reunited at last. One brother, raised in an orphanage was shanghaied by bandits and held captive for ransom along with two BBC reporters. The other brother, raised in America by wealthy adopted parents, rushes to Somalia and tries to blend in so that he might help to rescue his brother. The pirates capture him as well and they must work together to stay alive long enough to escape. They're pressed into service to join a rag tag band of modern day pirates. Their target booty, a cruise liner. What they don't know is that onboard is their worst nightmare. A wounded war veteran called Blade and his new bride are honeymooning. The pirates manage to hijack the cruise ship and begin to negotiate a ransom. But fate intervenes, as a rogue wave comes out of nowhere, threatening to capsize the vessel, while Blade sneaks around and picks off the pirates one by one. 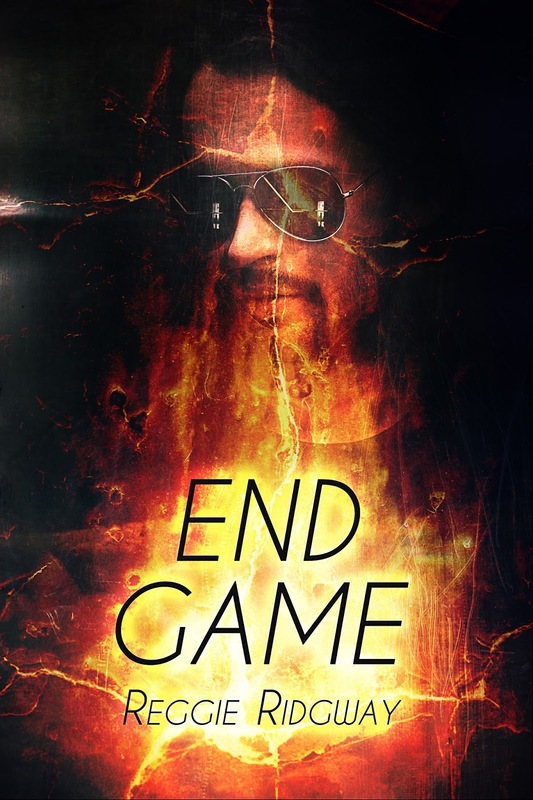 This is an action packed adventure, and the whole militia team is back from the first novel in the series, End Game, to help rescue Blade, the twins and the rest of the two thousand hostages from Somali pirates and from uncontrollable fits of nature in the most dangerous waters on earth. In celebration of the release of Found Innocent you can enter for your chance to win a $25 Amazon Gift Card. You can enter as many times as you like and various ways. The contest lasts until October 31st. Madison summoned patience. A list of envelope-printing companies—which could prove to be a vital link in the chain of evidence against the Russians—would be on her monitor, right now. “Vilma with an ‘i’. Vilma Thorne, well, it would have been. My God, Kev!” She raised her face upward as if calling out to a Greater Being. Her gum chewing paused only momentarily. Madison detected the blend of cheap perfume and cigarettes. Maybe—she inhaled deeper, trying not to appear obvious—it wasn’t perfume but whiskey. It was hard to discern. Her eyes appeared normal, except for the abuse of eye makeup. Besides the thick mascara, her lids were weighed with the color purple. Her pupils weren’t dilated or pinpricks. Hey I am on TV. Sort of LOL. Half Life first chapter of a new shortstory I am currently drafting. All rights reserved. No part of this book may be used or reproduced in any manner whatsoever without written permission, except in the case of brief quotations embodied in critical articles and reviews. The tow rope snapped taut and the street luge began to roll down the runway at ever increasing speeds. The hard scrabble tarmac was littered with small bits of scree and loose gravel and the surface was not entirely level. Lying supine, the luge driver hung on with all his might as his modified skate board jounced and swerved out of control. It was like he was on a giant roller-skate which juked to the right and then the left. He had no sure way to steer it. He could only lean to the side to keep on course. He wore a black leather coat and pants which might help prevent some road rash should he accidentally crash or roll off. He was held fast to the board by a strip of velcro, which secured him like glue to prevent him from bouncing off into the darkness of the night. A tow rope was connected to the underside of a cargo jet which was slowly taxiing out in preparation for takeoff. It was just after midnight and the small airport was pitch black except for the blinking runway lights. Nobody had witnessed his preparations of hooking an elastic tow rope secured with a quick release mechanism. Security is lax at these small town airports. The luge driver has only to push a button to be released from the tow rope and the other end would automatically detach as well. The rope would fly off and fall away after unhooking. It was like the set up that towed gliders planes utilize. This is his first attempt to do this, and Brad's resolve to carry out this ultimate extreme jump was beginning to wane. He wasn't afraid. He had base jumped off buildings, cliffs, bridges, radio towers, even a hot air balloon, but this was the ultimate test of his wing suit. His friends called him the bird man. Now they may have to refer to him as the rocket man if he lives to tell about it. His actions are being filmed via a helmet cam, and a GPS monitor will prove the speed and height of assent and dissent. Recently, another base jumper had plummeted from outer space after leaping off the platform of a weather balloon. Brad was a full time student at a local Junior College, but no job, and he was relatively poor. He had no sponsors yet, only a growing fan base who'd followed his every death defying jump on his YouTube site. Maybe after this jump, his video would go viral and he will get the sponsors he needed. Then he'll have the financial backing to travel all over the world, and thus be able to leap off the top of the tallest mountains. And hopefully, he'd soon be able to jump from helicopters so he won't have to climb those mountains. He had spent all the money he'd possessed to purchase the wing-suit. His suit is a prototype and its designer would want to know how it held up to this rigorous test. It's made of very light yet strong synthetic material. The same stuff they use to make hot air balloons. He won't be jumping from the edge of outer space tonight, but so far nobody has ever been towed by a cargo jet and released for a free-fall at cruising altitude. His audible altimeter would alert him if he was approaching the altitude where he would need portable oxygen to survive. He didn't have any real safety equipment. No insulated pressure suit or oxygen respirator. He was literally going commando. A few brave souls have done high altitude low opening jumps before. Mostly military skydivers performed similar 30,000 foot HALO maneuvers after jumping from a jets fuselage hatch, but they had the luxury of using proper safety equipment. Red circles marked the location of the twin jet engine's before him. He gritted his teeth as the cargo jet began to lift off and he felt a sudden tug as he was jerked upward. He saw the ground rush away beneath. He kept his head high and his goggles almost flew off his face from the sudden draught, which could be dangerous, as his eyeballs can burst from their sockets. He felt the gravitational pull increase exponentially, and he glimpsed the lights of the city glittering far below. The tow rope was long enough to prevent him from being caught up in the fierce turbulence of the relative wind and forward speed of the turbine engines. He was dangling 30 feet or so from it's tail section. The pilots had no idea they had a hitchhiker. In a few moments he would be free falling, like a flying squirrel. He would simply spread his wings, the webbing between his arms and his torso and between his legs would slow his dissent and give him the lift to overcome the drag. He would soon be soaring at over 200 mph. Terminal Velocity. He would be gliding at incredible speeds. He only has to dip his shoulder in order to turn and then he can circle the city below like an eagle coasting on thermals. The thrust of the forward speed of the climbing jet was approaching hundreds of mph and he fought to hold on and keep his street luge trimmed in the jet-wash. The temperature was rapidly dropping to freezing, and his goggles were becoming caked with ice crystals. His whole body began to quake and shiver as hypothermia kicked in. He carried a hook knife attached to his ankle by velcro should he have to cut himself free. His arms felt heavy, and he wondered if he would have the necessary strength to overcome the gravitational pull. He wasn't sure how many G's he is pulling right now, but it felt like he had an elephant sitting on his chest. Once free of the tow rope, he only had to lean forward a bit to be released from the velcro covered luge. Like the tow rope, it would cast off and fall to the ground. Currently the jet's flight path was over the desert so he didn't worry about someone below getting hit by falling debris. He hoped he could locate everything later on. The moment he plummeted to a safe altitude he'd release his chute and simply glide back to earth. He hoped he'd be able to land close to town. He planed to use his cell phone to call a friend to pick him up. He felt the speed slow a little-the aircraft's approaching cruising speed-and he prepared to hit the release button. Just as his altimeter alarm began to squawk he noticed a bright light. It was as if someone had turned on a klieg light directly in front of him. He pushed the release button and leaned forward to disengage himself from the street luge. He felt himself tumbling forward into the slipstream. He heard a roar and saw the cargo jet peel off into the night. He wasn't falling yet and he felt weightless for a moment. He pictured himself like a cartoon character hanging in mid-air before falling off a cliff. His stomach threatened to heave and he swallowed hard. He was glad it was empty. He gulped air and suddenly realized he was having trouble getting a breath. The oxygen was quite thin up here. He felt as if he were about to black out. He watched the tow rope and the luge fall away and disappear into the inky blackness. He peered down and saw the city lights twinkling like sequins far below. With the stars shining all around, it was becoming difficult to tell if he was looking up or looking down. He was becoming dizzy and disoriented. Oxygen starvation. He held his breath and simply tumbled and fell directly into the maw of the shimmering light. He didn't have the strength to stretch out prostrate in free fall to slow his dissent. He didn't attempt to spread his arms and legs of his wing-suit. He didn't pull his emergency chute. Abruptly he lost consciousness and the light faded to black like an iris of an eye closing. A good friend and a great writer has released another novel today. Please drop by and take a look. Carolyn Arnold was reviewed earlier on this blog and have been a fan since reading her first novel. She can be found at these links. "If I pay with my life, you will pay with yours." CAROLYN ARNOLD’s writing career was born when a co-worker said “tell me a story”. 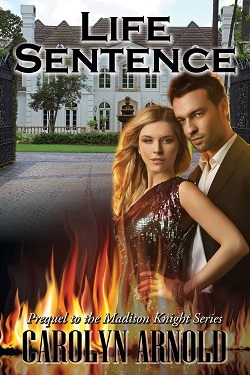 From there what had started off as a few paragraphs grew into her first length novel—LIFE SENTENCE. Her writing has been compared to New York Times Bestsellers such as JD Robb, Mary Higgins Clark, Sue Grafton, Michael Connelly, Tess Gerritsen, and more. 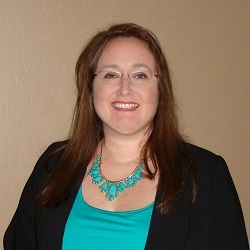 She is the author of the best-selling Madison Knight series, and Brandon Fisher FBI series. Carolyn was born in 1976 in Picton, Ontario but currently lives in southwestern Ontario with her husband and two beagles.